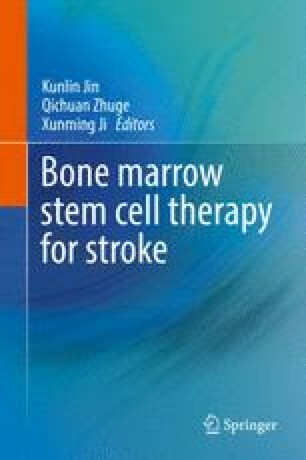 Transplantation of bone marrow stem cells (BMSCs) as a regenerative cell replacement therapy for stroke holds great promise. However, the mechanisms underlying functional recovery after stroke remain unclear. Clearly, BMSCs benefit the neurological dysfunction in either direct or indirect methods through the interaction with other cells. In this chapter, we review the direct and indirect interactions of transplanted BMSCs with HSCs, immune cells, neural stem cells (NSCs), neurons, astrocytes, and endothelial cells for better understanding of the mechanisms underlying BMSC-mediated neurological function improvement after stroke.